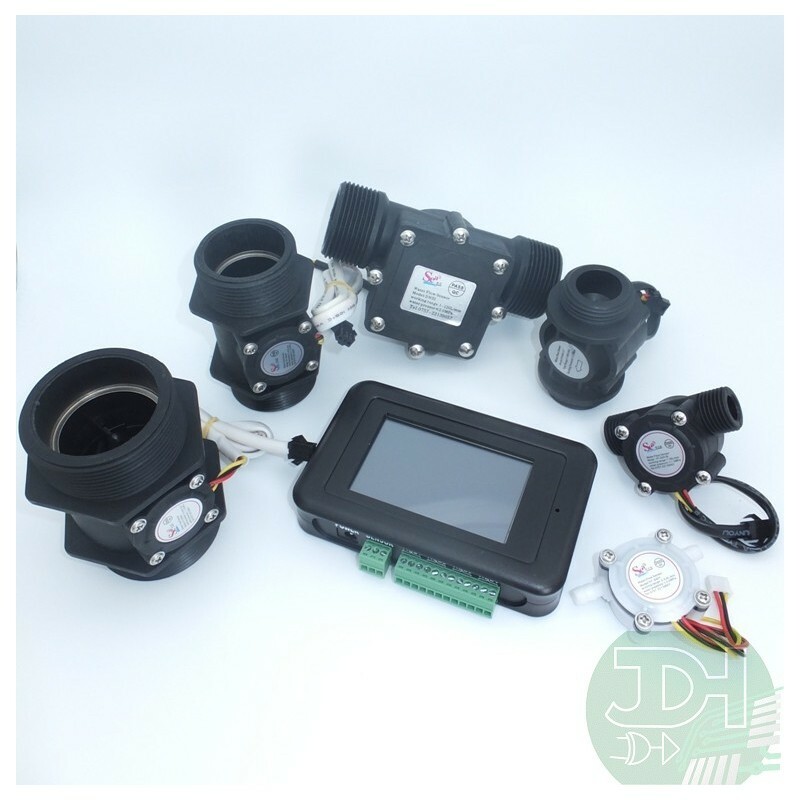 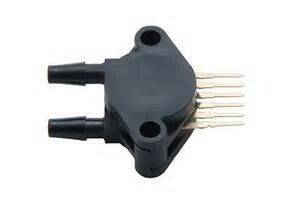 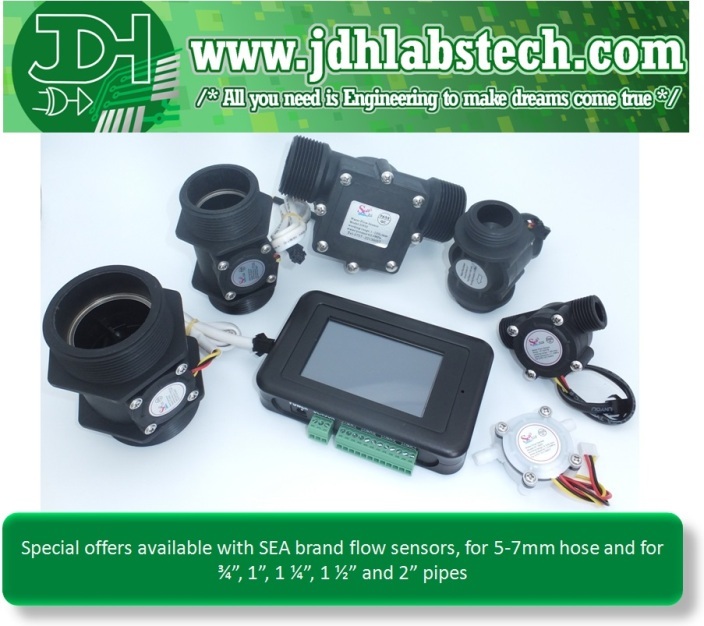 Electronic system designed to work with turbine flow sensors with Hall Effect sensor and square pulse output signal. 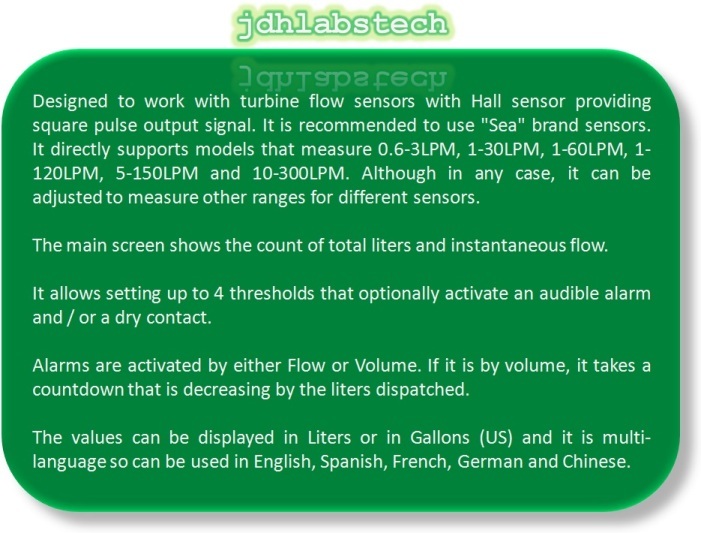 It is recommended to use "Sea" sensors. 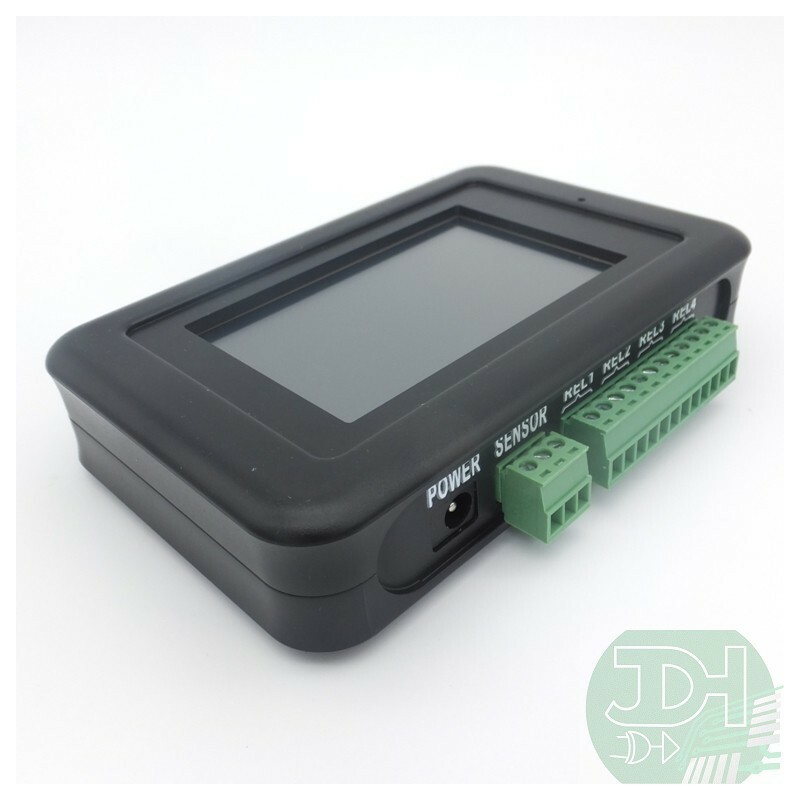 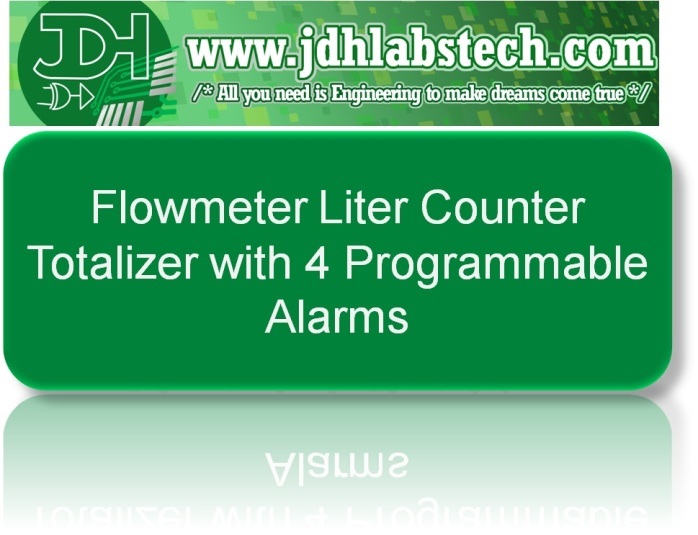 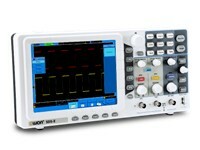 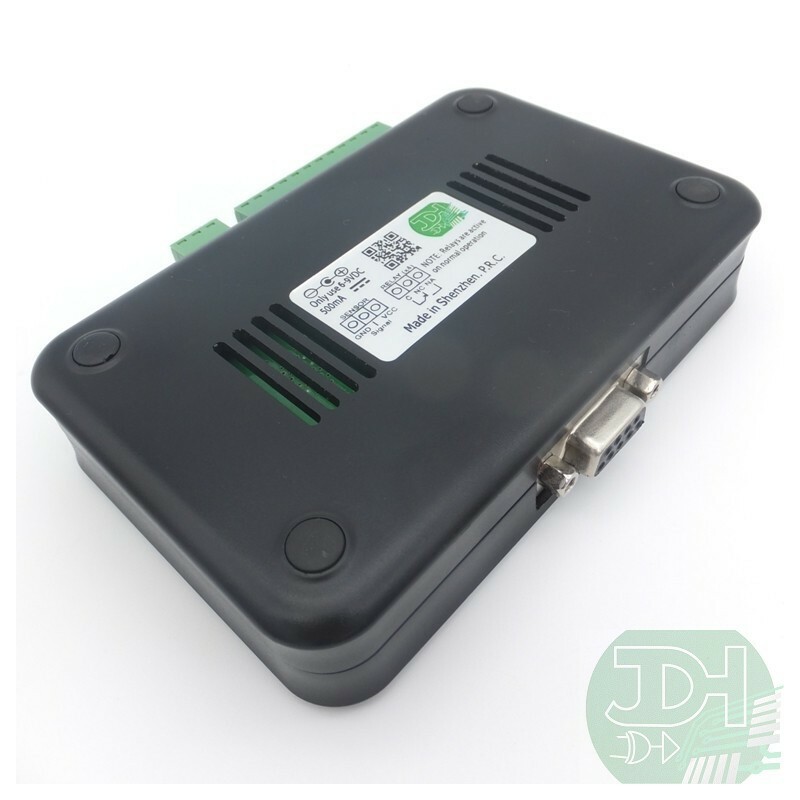 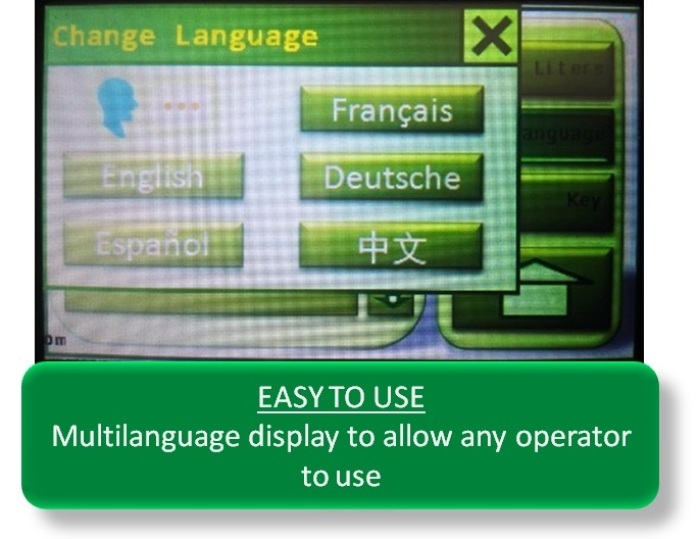 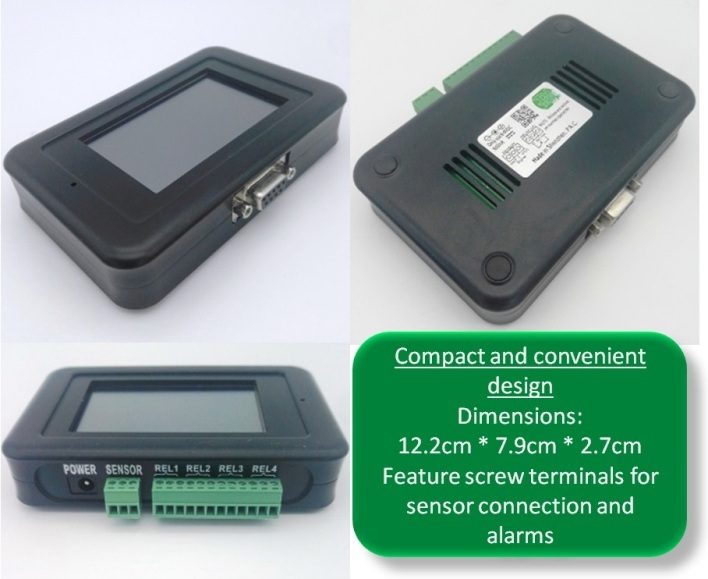 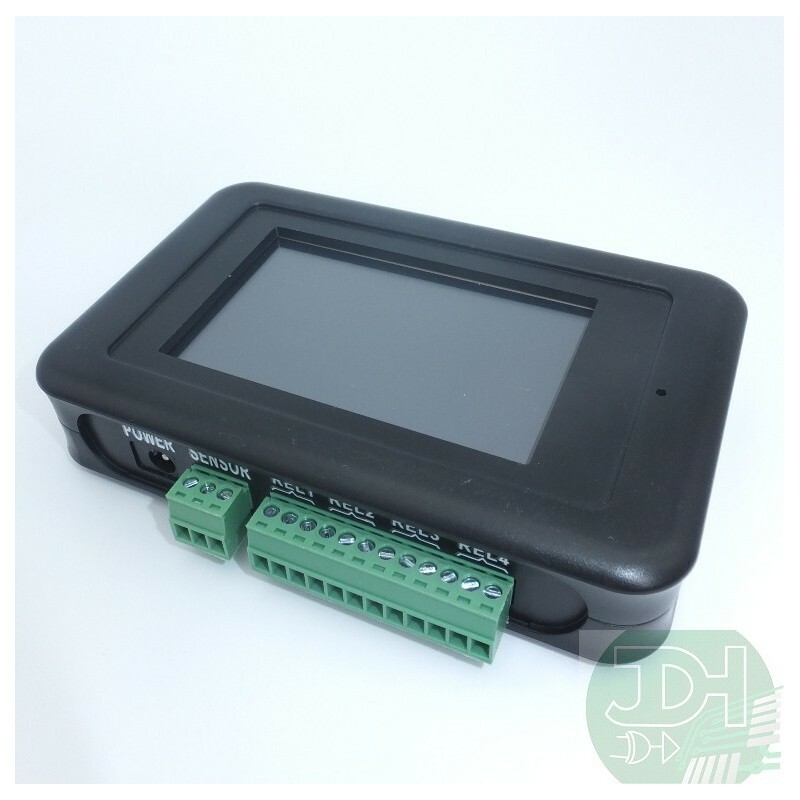 It directly supports models that measure 0.6-3LPM, 1-30LPM, 1-60LPM, 1-120LPM, 5-150LPM and 10-300LPM. 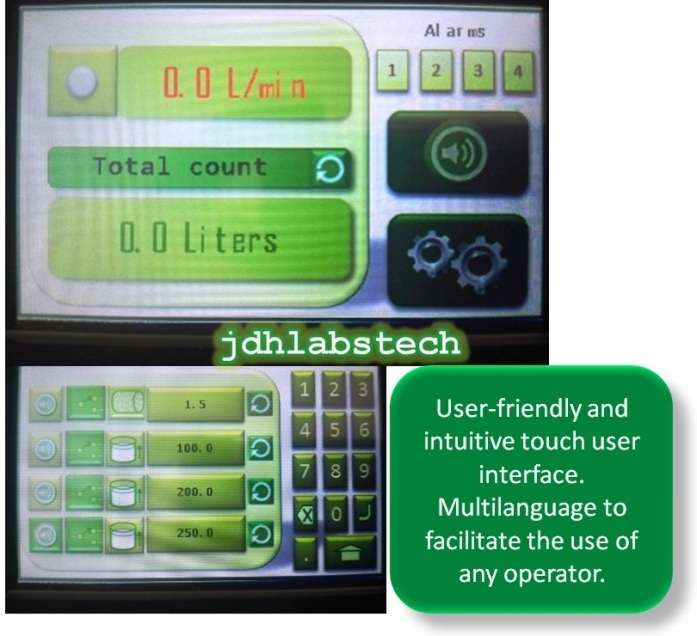 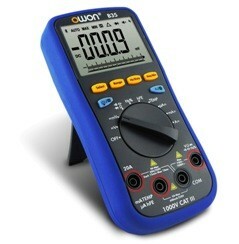 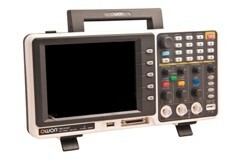 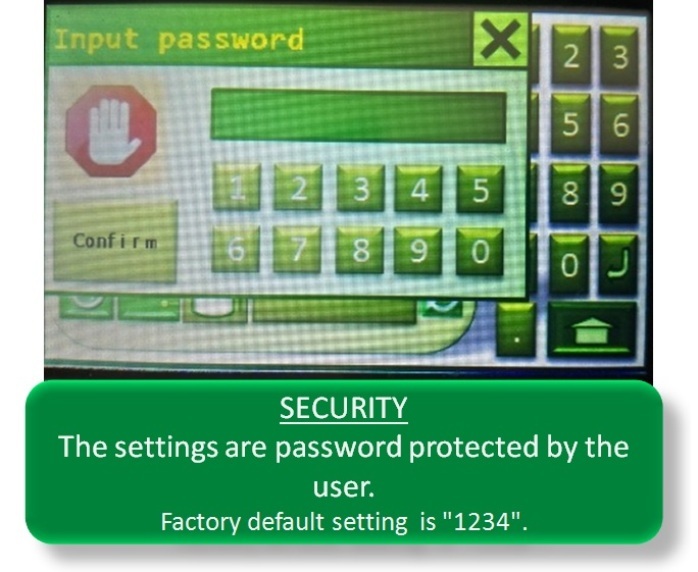 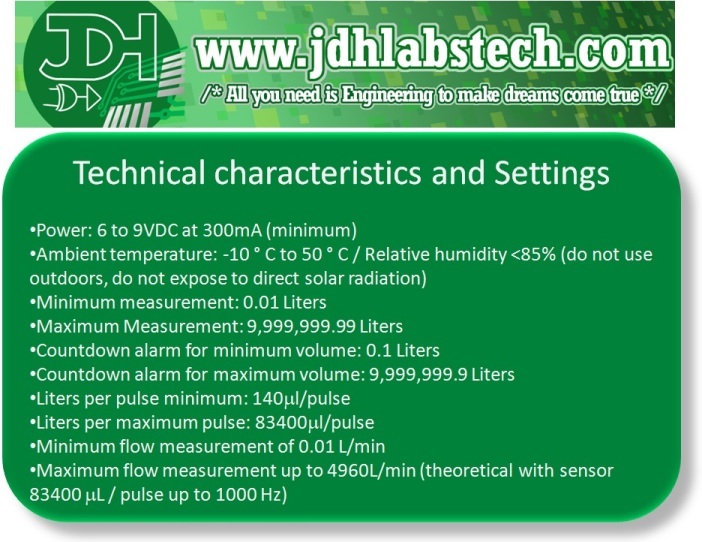 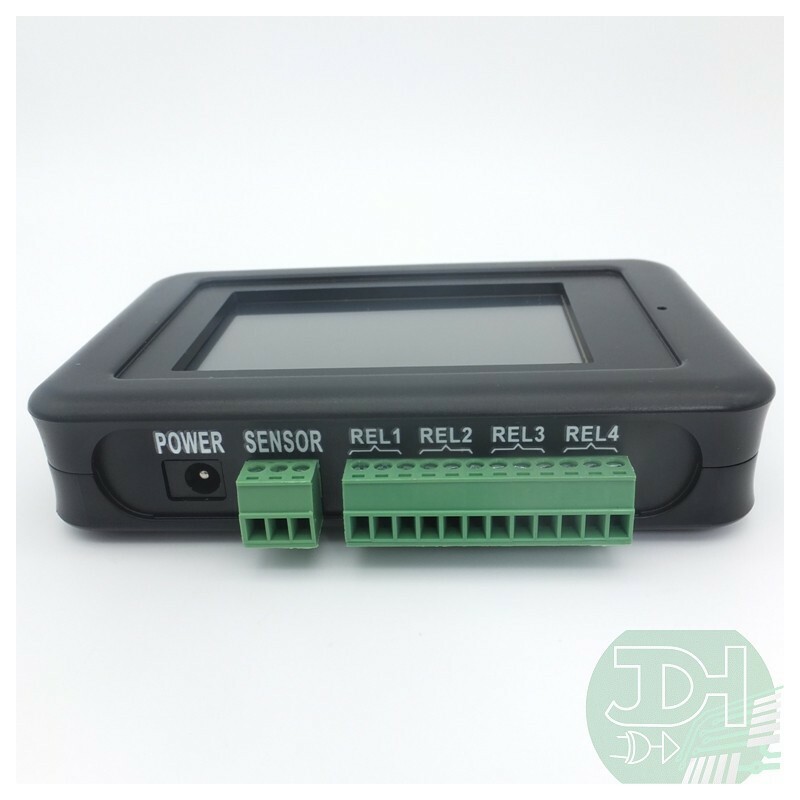 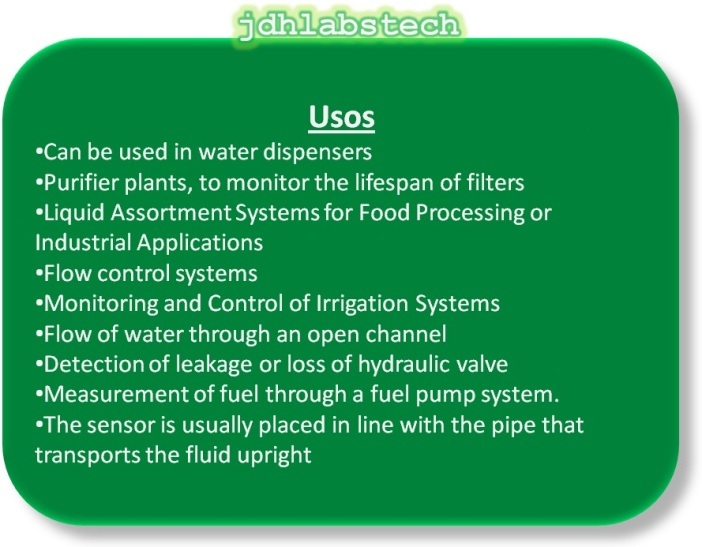 Although in any case, it can be adjusted to measure other ranges and used with sensors of any other brand. 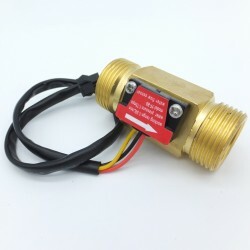 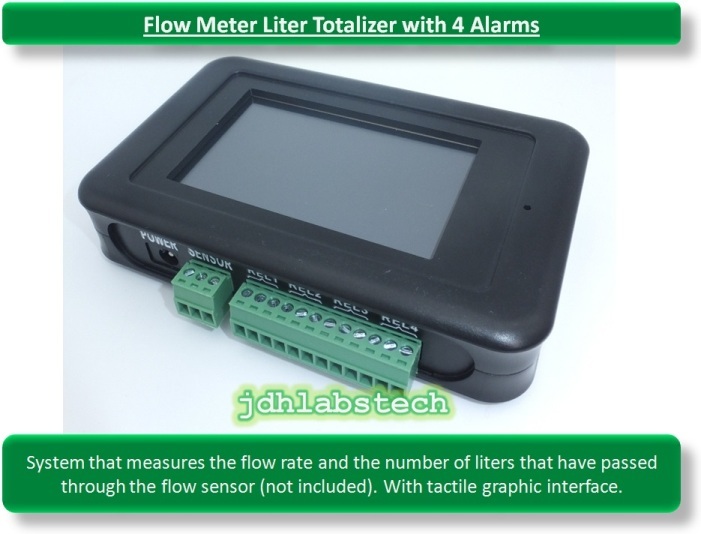 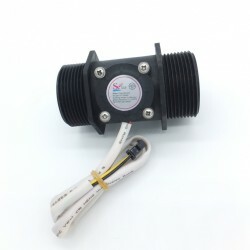 Ask for promotional prices of flow sensors with the purchase of this totalizer.